This page is viewed best with Internet Explorer or Netscape version 6.0 and higher. What viewers see on television’s "E.R." bears only passing resemblance to the gripping events that unfold in a real emergency room. One hospital on the frontlines of America’s war on terrorism in Kabul, Afghanistan, redefines the word "emergency." P.O.V. "Afghanistan Year 1380," a new film by the makers of the award-winning Jung (War): In the Land of the Mujaheddin, brings viewers one step closer to understanding how more than three decades of war have affected the country, particularly its youngest generation. 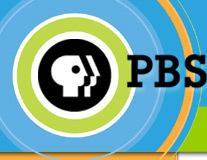 "Afghanistan Year 1380" airs on PBS Monday, September 9, 2002, 10:00 p.m. ET (check local listings) as part of PBS’ line-up of programs observing the first anniversary of September 11. Filmed in Afghanistan after the attacks on the World Trade Center and the Pentagon, the film follows the continuing challenges faced by surgeon Gino Strada and medical coordinator Kate Rowlands of the human rights group EMERGENCY. Fighting through air raids and civil war, the two volunteers struggle to re-open Kabul’s EMERGENCY-sponsored hospital - needed even more desperately given the looming threat of full-scale war. Strada and Rowlands have worked in Afghanistan for years. First on the front lines between the Northern Alliance and the Taliban, and now on the frontier of a new war against terrorism, they are international human rights workers courageously offering emergency medical services to the neediest victims. The two originally joined forces to set up an emergency surgical center for war victims in Kabul. The 110-bed hospital, designed to treat war-wounded and mine-injured patients, opened its doors in April 2001, only to have them slammed violently shut a month later by the Taliban. Frustrated by the needless closure of the facility, which is equipped with an emergency room, blood bank, pharmacy and six surgical wards and is staffed mostly by Afghan nationals, Strada and Rowlands were determined to get their trauma center up and running. In October 2001, along with their staff, they decided to re-open the hospital while the city was still under heavy attack. In their attempts to guarantee medical and humanitarian support to civilian war victims, they became part of the international effort to rebuild Afghanistan. "Afghanistan Year 1380" shows the perspective of those who lived and worked alongside the Afghan people during this extraordinary time, uncovering almost by chance the disparity between coverage by the international news media and the on-the-ground reality of life inside Afghanistan - from the recent casualties of America’s war on terrorism to the countless landmine victims who symbolize the horrific effects of decades-long warfare. In a time of war, the hospital is truly singular, treating civilians and soldiers alike, regardless of affiliations and allegiances. Even more moving than this unconditional dedication are the innumerable children, cut down by landmines or caught in the cross-fire, brought in and out of the emergency room by the dozens. EMERGENCY is a non-profit, humanitarian organization dedicated to providing assistance to civilian victims of war -- both the wounded and those who suffer its unavoidable consequences such as hunger, malnutrition and lack of medical care. A private, independent and neutral organization, EMERGENCY is grounded on a borderless, trans-national humanitarian concern that eschews political, ideological and religious discrimination and promotes a culture of peace and solidarity. The title of the film, "Afghanistan Year 1380," refers to the religious New Year celebrated in many parts of Afghanistan, marking what many hope will be a new start for a country torn by war for two generations.